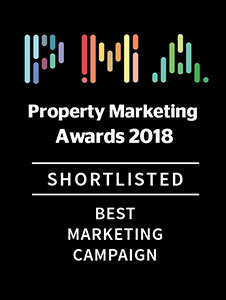 Prime Student Living, part of the Crosslane Property Group, has been shortlisted as a finalist for the Property Marketing Awards 2018 in the Best Marketing Campaign: Alternative Asset Class category for marketing activities surrounding our Brass Founders, Sheffield student housing scheme. Brass Founders, Sheffield, is a 437-bed purpose-built student accommodation (PBSA) property, developed by Crosslane Student Developments in time for the start of the 2017/18 academic year. It comprises 144 self-contained studio apartments and 293 premium en-suite bedrooms arranged in clusters of up to six bedrooms, and is ideally located a 15 minute walk away from both of Sheffield’s main university campuses. Between 4th March and 4th of May 2017, Prime Student Living (PSL) – Crosslane’s property management, lettings, and marketing arm – undertook marketing activities to promote the launch of Brass Founders. This included promoting the wider ‘lifestyle benefits’ of living in a PSL managed property, which was communicated to students by fitting out a marketing suite in an area with high student footfall, and working in partnership with the Students’ Union to deliver a campaign of promotional events geared towards students. PSL’s marketing activities have been recognised by the awards as diligent, disciplined, and strategic, crucially contributing to the delivery of full occupancy prior to the start of the 2017/18 academic year. Organised by the Worshipful Company of Chartered Surveyors and in conjunction with media partner Estates Gazette, the annual Property Marketing Awards celebrate some of the most talked about marketing campaigns in UK real estate. The 13 different award categories are judged by an independent panel of marketing professionals at the top of their respective fields.